Alexander Edelman - Edelman, Liesen & Myers L.L.P. 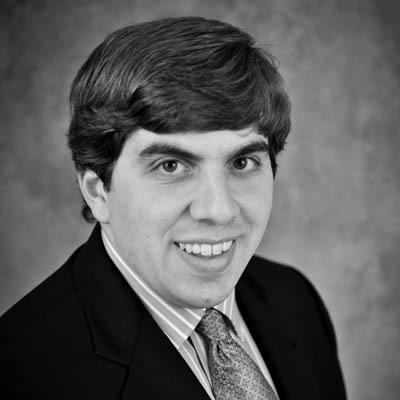 Alexander Edelman has a passion for serving his clients’ needs. He has worked with individuals, couples, and families to provide an estate plan that will protect themselves and those they love should anything happen to them. At the University of Missouri-Kansas City School of Law he took a broad array of estate planning classes, getting hands-on clinical experience. Edelman published a note in the Law Review and served as its Lead Online Editor. While in school he held jobs both in academic research positions and as a law clerk. Before law school, he worked as a paralegal at a local law firm. Mr. Edelman was born and raised in Kansas City with a belief in bettering the community. He has served on the board of directors of a number of local non-profits, including JVS, an organization that helps people from all walks of life find meaningful employment so that they can support themselves. Edelman has worked on every step of incorporating a non-profit and getting official recognition as a tax exempt organization. He looks forward to using his skills to serve his clients and the community for many years to come.